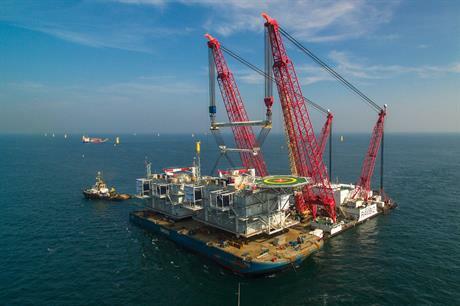 NETHERLANDS: Offshore projects face delays after the Dutch parliament rejected proposals for the offshore grid network, according to transmission system operator (TSO) Tennet. Tennet said the Borssele I & II projects, with a combined 700MW capacity, face delays following the decision by the Dutch senate. The two 350MW Borssele projects were due to be tendered in early 2016. The TSO said it is in close discussions with the Dutch economic affairs ministry to arrange an alternative schedule to ensure the grid is ready for the Netherland's planned offshore projects. Tennet CEO Mel Kroon said: "The decision of the senate is disappointing for everyone who has worked hard on the realisation of offshore wind. From 1 January, no grid at sea will be designated and the first tender for wind farm developers [was due] on 15 January. "The wind field Borssele is now postponed. The development of offshore wind energy in the Netherlands is thus delayed. " Under its national energy agreement for sustainable growth, the Netherlands could see some 3.5GW of new offshore capacity, developed across three designated zones, opened up to tender over the next five years, all expected to be online by 2023.